Took me a little while to make this image, I hope you enjoy it! 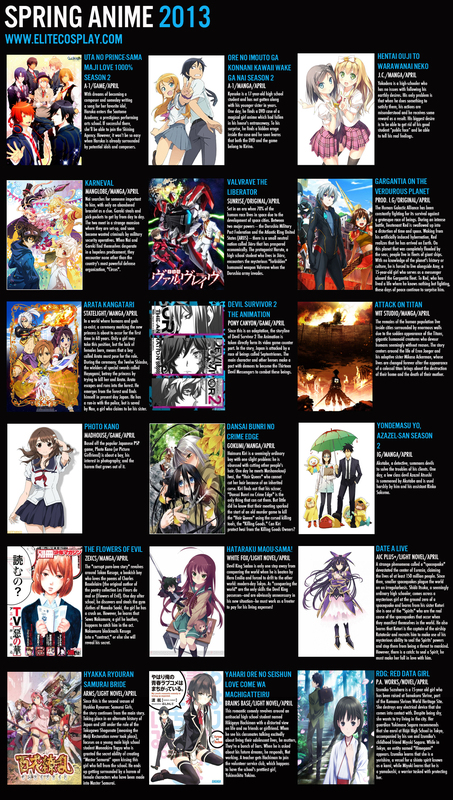 Here is the lineup for Anime in Spring of 2013. (Click to enlarge) Text based descriptions will be added below soon.